The Associated Press (AP) recently published an article on the American Trucking Associations request of the federal government for all commercial vehicles to be fitted with a device that would limit maximum speed to less than 70 mph. 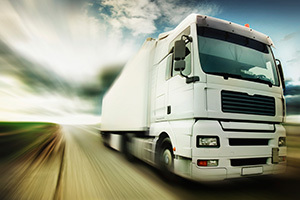 Truck accidents that occur while traveling at high speeds can inflict severe damage and cause many injuries and deaths. If you or someone you love has been injured in an accident caused by a truck, contact our experienced personal injury attorneys in Tulsa for a free legal review of your claim. Governors, as they are called, would be installed in a truck or other commercial vehicle as a means to prevent drivers from traveling any faster than 65 mph. As the largest trucking industry group in the country, the American Trucking Association is opposed to commercial vehicles being operated at faster speeds. This is not the first time the group has requested the government step in. In 2011, the government proposed regulation of big rig speeds but the measure has been stalled in a morass of government reviews and cost analysis projects. The American Trucking Associations most recent statement follows an earlier AP story that suggested commercial vehicle tires do not operate optimally at speeds over 75 mph. Despite this, 14 states maintain highway speed limits that are above this range, and a handful (Texas, Wyoming, Utah, South Dakota) have speed limits of 80 mph. The group noted that these higher speed limits are needlessly endangering motorists, and that it would like to see a national speed limit reduction. Records from the U.S. Department of Transportation (DOT) show the proposed legislation has been stalled with DOT Secretary Anthony Foxx for months. Messages seeking comment on the legislation from a DOT spokesperson were not returned. Roughly 70 percent of all commercial trucking companies maintain speed limit requirements, but many believe a national regulation would eliminate any confusion and establish an industry-wide standard. There is no doubt that operating at excessively high speeds causes wear and tear on tires and other parts of a truck. Regardless of the type of vehicle, faster speeds break tires down faster than conservative speeds. At The Edwards Law Firm, our reputable Tulsa truck accident attorneys want to keep motorists and truckers safe from unnecessary accidents and injury. We support commercial vehicle operators driving at more conservative speeds, and we will continue to update this story as more details about the proposed legislation become available.